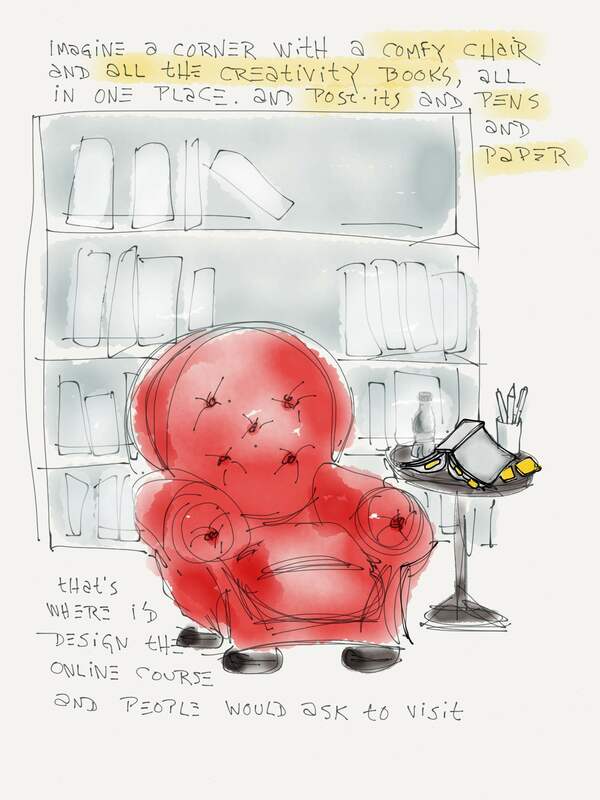 Imagine a corner with a comfy chair and all the creativity books, all in one place… and post-its and pens and paper. I want a corner furnished with one comfy chair and a bookshelf. I’m going to keep all my books on creative thinking on that shelf, and put post-its and a notebook on the side table. You will know, when you visit that corner, which are the best books. They’ll be well-worn, festooned with sticky tabs and probably heaped up on the floor. Until that day, here’s my recommended reading list on creativity.